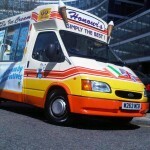 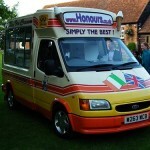 We have catered for many companies for full wrap and branded promotional ice cream van hire campaigns where we put together a package for ice cream van hire with full or part branding promotions, included in the package is a set price for complimentary soft ice cream or any products you choose to be served to your target audience or clientele. 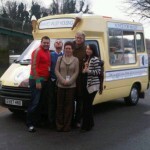 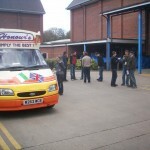 We recently successfully catered for a promotional agency promoting the famous Ben & Jerry branded ice creams. 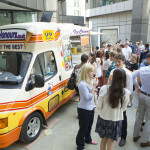 We supplied two ice cream vans for a full wrap & branded promotional tour to Manchester and London where we served their own complimentary ice creams to the general public on selected and pre organised busy prime sites.